Having featured the Wasay (Mambucal) and Guintubdan trails, PinoyMountaineer completes its feature of majestic Mt. Kanlaon with the trails that originate from its city namesake, Canlaon City in Negros Oriental. The usual trek starts off at Sitio Mapot, Brgy. Maiba, where one can camp on Day 0, or proceed directly from Bacolod City at Day 1. Here lies another attraction of Kanlaon, the Sudlon waterfalls. Early departure is a must. Spanning 9 kilometers, the trail will lead the climber first to Makawiwili Peak, one of the volcano’s peaks and an excellent vantage point. At 2141 MASL, Makawiwili Peak is considered as the 4th highest in the Visayas, although technically this shouldn’t count because it is a secondary peak. Beyond Makawiwili, a 3-hr. 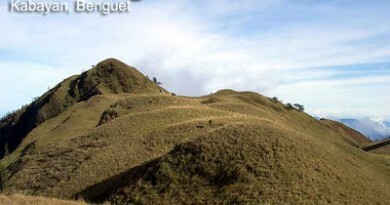 trek to the saddle and a further 1.5 hours up will take you to the crater-summit of Mt. Kanlaon. On the second night, the camp is set on Margaja Lake, itself an old crater of Kanlaon. Although the forests of Wasay trail are supreme, the Canlaon City trail is rich in views, affording photographic wonders from Day 1 onwards. It also enables a camp down at Margaja Valley, whose ground is filled by water during rainy season, hence it is also known as ‘Margaja Lake’. It also gives a fresh perspective on the volcano, since the climb is on the east face of the mountain. It is closer to Dumaguete City and thus affords easier access to sidetrips such as the famed island Siquijor and Cebu itself, where mountains such as Osmeña peak beckon. Proceed to Canlaon City by bus then head to Sitio Mapot. Camp near Sudlon waterfalls or last water source. Pagatpat Ridge is the convergence point of all trails leading to Mt. 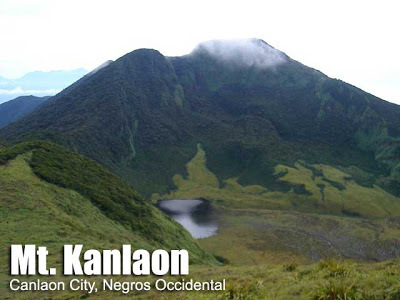 Kanlaon’s crater-summit – take this in consideration when merging itineraries for a customized Kanlaon experience. On Day 1, alternative campsites include the Pagatpat Ridge campsite, or the PMS lagoon campsite (West; leading to the Wasay trail). As in the other trails, the person to contact is Sir Angelo Bibar, the Park Superintendent of Mt. Kanlaon National Park (MKNP). Very kind and accommodating, he may be reached at +639173011410. Although checking the PHIVOLCS bulletin is prudent, the DENR is updated anyway and won’t allow any climbs if there is an alert level hoisted. Thus DENR is the only institution to contact. They’ll also be the ones to arrange the guides. Rate is P500/day for the guide exclusive of food and tent that you have to provide. Park fees cost P320 per person (P220 if student). Mt. Kanlaon is the third most active volcano in the Philippines and has had at least 23 episodes of historical activities since 1866. Kanlaon Volcano forms part of the west-facing Negros volcanic arc which is the result of eastward subduction of the Sulu Basin along the Negros Trench. This arc has been active since the Miocene. 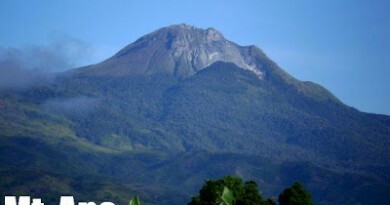 Other volcanoes of the Negros Arc include (from north to south) Mt. Silay, Mt. Mandalagan and Cuernos de Negros. PinoyMountaineer thanks Sir Ogos Asuncion for contributing to this article, as well as the mountaineering groups of Negros whose websites were very helpful in getting information about Mt. Kanlaon. 50 Comments on "Mt. Kanlaon/ Mapot-Masulog (2,435+)"
"Panaad" Climb on May 13-17, 2015. Mapot – PMS – Pagatpat – Margaja – Mananawin. Look for Kim Joseph at 09238540950. Thanks. Hi! 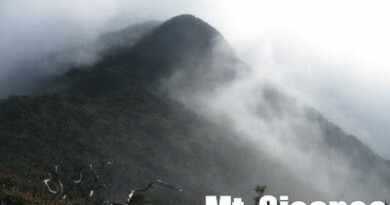 Im looking for 1 to 2 person who wants to climb with me at Mt Kanlaon mapot-manawin trail with Mt Madjaas traverse sidetrip. Feb 21 arrival in bacolod. Feb 26 departure from iloilo to Manila. If you love to walk and climb with small group..This is for you..
We're climbing Mt. Kanlaon via Mapot-Mananawin trail on Dec. 12-14, 2012. There are three of us so far. If you want to join, please text 0917.349.8243 or send an email to misadventuresoftintin@gmail.com. Thanks!